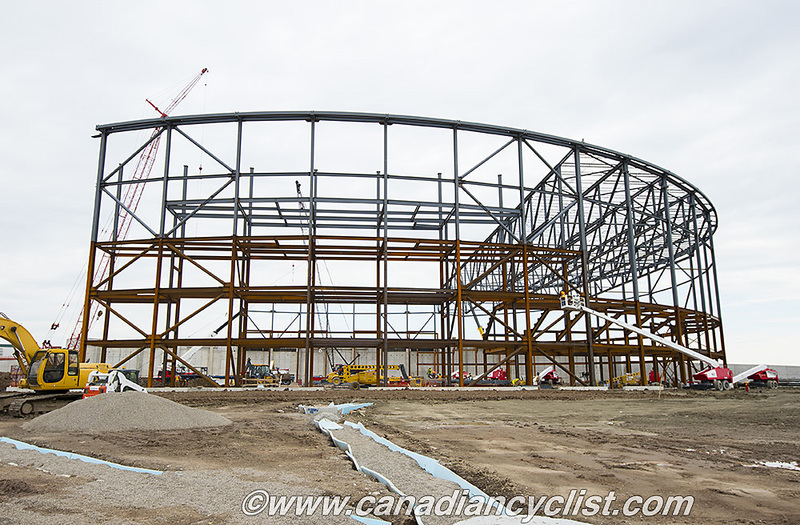 It is now only 11 months and a few days until the first events are scheduled to take place at the indoor velodrome being built in Milton, Ontario, for the 2015 Pan Am Games. For much of the Spring and Summer there did not appear to be much going on at the worksite, as ground was leveled and foundations laid. 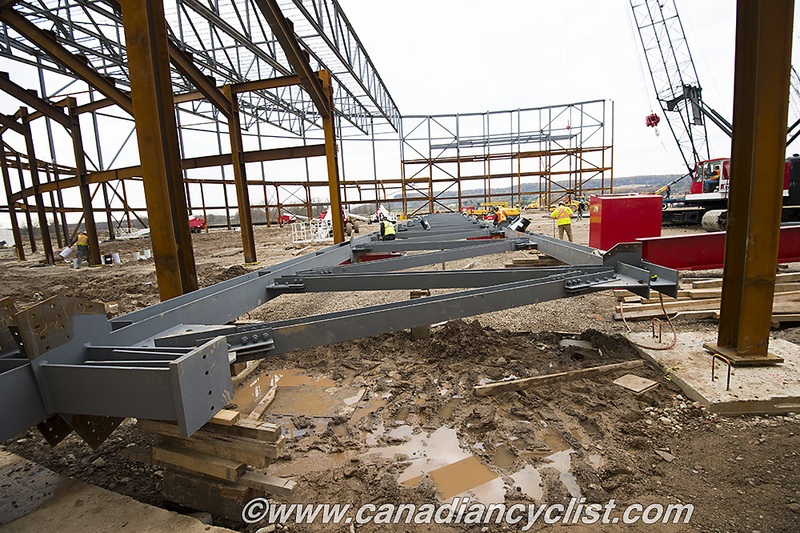 However, in the past few weeks the structure of the building has sprung into shape with the installation of the metal framework and roof trusses. 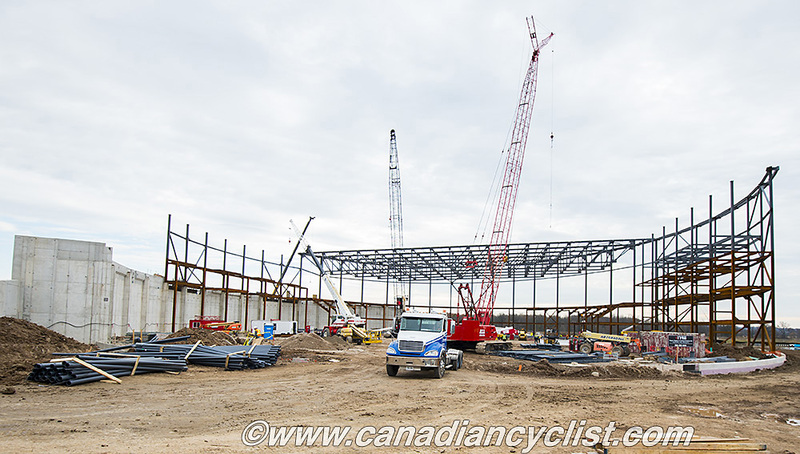 We were allowed to visit the site this week and photograph the ongoing construction. 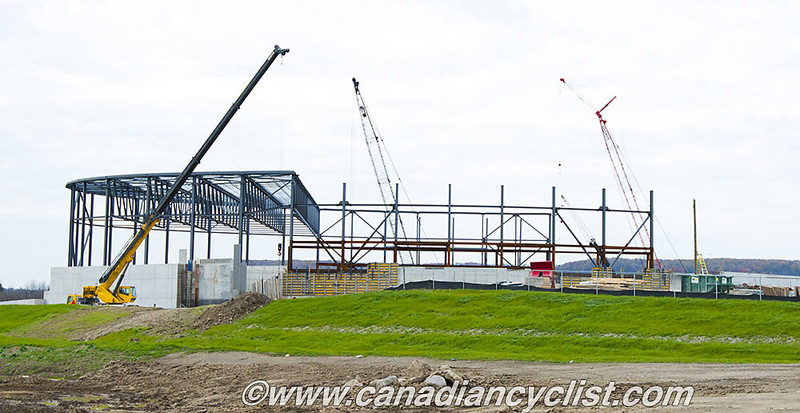 Despite heavy rain through the Summer and Fall making construction difficult at times, the velodrome is on schedule for being turned over to the Pan Am organization and Town of Milton by late August of 2014. The hope is to have the outside structure fully enclosed by the end of January, so that work on the interior (including the eventual track construction) can begin.